Build new friendships and rebuild important relationships. 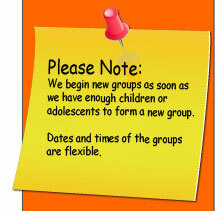 The Social Skills Groups Build new friendships and rebuild important relationships. The building of relationships requires the building of trust. What is trust? Mutual trust is a shared belief that you can depend on each other to achieve a common purpose. Relationships and true friendships are built on the premise of trust. Successful relationships that last attribute their success to three important values: Commitment, communication and friendship. What is commitment? Some words that come to mind may be: Hanging in there; devotion, loyalty, teamwork and trust. If you listen well people will trust you. You cannot establish trust if you cannot listen well to others. A conversation is a relationship. (Communication) It is like throwing the ball back and forth to each other. Both people, the speaker and the listener, play a part, each influencing the other. We can see how all these values are interrelated and important. Finally, what is friendship? Friendship is the cooperative and supportive relationship between two or more people. We learn how to get along by watching other kids. We quietly can learn new ways and behaviors in order to be successful just by observing other successful kids. We learn new skills and information from playing with or alongside kids too. We can become better at communicating because we want to play with and be accepted by kids/friends. So to the parents out there…Let your children make plans and play dates with other children so they have a lot of chances to learn to get along with others. Have children over to your home so they can play with your children. They are usually assigned piece of work often to be finished within a certain time. We need to set up a few tasks for ourselves. The task of doing something pleasant with someone we love, perhaps in our family. Or the task of doing something pleasant with a kid or friend from school or some other place, perhaps, camp, church, synagogue, the neighborhood, a class outside of school. Just like building a new building or building with Lego’s or blocks, we need to build a new relation to the person we have in mind. We simply make plans with the person and enjoy. We act appropriately. We try our best to be a good listener. We try our best to compromise. We try our best to be cooperative. Then just enjoy and have fun. These good times will build a new relationship. Sometimes it is a brand new relationship. Sometimes we are trying to improve a relationship. This task and experience will replace the old relationship if that is the case. Remember the importance of commitment, listening, communication, trust, and friendship. Two things you do say or behave that works well with other kids? Two things that do not work well with other kids? Very often people continue to do things that are not successful for them. Tell your children to repeat what works well with other kids, and to not repeat the things that do not work well.